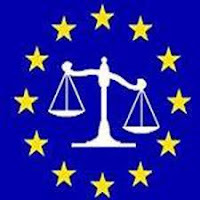 The European Court of Human Rights (the “ECHR”) continues to attack the Hague Convention on the Civil Aspects of International Child Abduction (the “Hague Convention”), including a decision issued in December 2011. In June 2010 in Neulinger & Shuruk v. Switzerland the ECHR ruled that the European Convention on Human Rights requires that courts may not return an abducted child to its habitual residence, even when the child’s return is mandated by the Hague Convention, unless it is first established that it is in the best interests of both the child and the child’s family to do so. The ECHR thereby overruled thirty years of international case law, discounted the fundamental purposes of the Hague Convention of deterring international child abduction and of not rewarding international child abduction, and ensured that any Hague case that follows its precepts will be lengthy and expensive as well as often unfair to the left-behind parent who must now defend what could be almost a custody case on the taking parent’s home turf. Notwithstanding extensive criticism of its decision the ECHR has followed the Neulinger case in more recent cases. In Šneersone and Kampanella v. Italy (ECHR Application no. 14737/09) the ECHR applied Neulinger to override an Italian return order that had been issued after an admitted international child abduction from Italy to Latvia. In April 2006 the child’s unmarried mother unilaterally took the parties’ son from their habitual residence in Rome, Italy to her native Latvia where she retained him. She claimed that she did so because the father was not paying child support and she could not afford to remain in Italy. The ECHR criticized the Italian courts’ failure to consider: (a) the risk that the child’s separation from his mother might leave him with neurotic problems or an illness, (b) the father’s failure to visit his son in Latvia since 2006 or (c) whether the father’s home was suitable for a young child. The Court’s decision is astonishing for its failure to criticize the mother’s conduct in abducting the child in the first place and for its failure to address the fact that the Article 13(b) exception should not be invoked when the abducting parent is the one who creates the risk by refusing to return with the child. The ECHR decision endorses international parental child kidnapping and constitutes an extremely dangerous precedent. Equally disturbing is the case of X v. Latvia (ECHR Application 27853/09) decided on December 13, 2011. Here the child was taken from her habitual residence in Australia to Latvia by the Latvian mother. The father in Australia commenced a Hague proceeding promptly and the Latvian court, after a hearing, promptly issued a return order. On appeal the mother asserted that the child would suffer psychologically if she were returned to Australia without her mother and supported this assertion with a psychologist’s report and she claimed that she did not have the financial resources to return there. The appeal failed in January 2009. For a full discussion of these issues see my just-published article in the IAML Law Journal, TheHague Abduction Convention: A Critique of the Neulinger Case.